We feel that we have an obligation to all cat owners, new and old, to share our secrets of what products and equipment we use in our home. Not only do we want prospective new families of our kittens to know that we treat our cats with love and care, but we hope to share some suggestions that will make their time caring for their cat easier. Each item we list will be denoted with a priority: essential (a must have), preference (what might fit your needs), and recommended (a product specifically recommended by brand). Grooming is essential not only for the beauty of your cat, but for its health. Mats can develop in long-haired cats, which can be uncomfortable, if not painful. Kitty litter and excrement can get caught in the hair behind a cat’s back legs or tail, or under their feet. It is important to know your cat’s needs, depending on coat and breed type. Short-haired cats are easier to groom than long-haired cats, for obvious reasons, but that doesn’t mean they should be neglected. To learn how to groom your cat, see our grooming page. Nail trimming is also important in owning a cat, even if it is de-clawed. De-clawing is mostly done to the front claws, which would make clipping the back claws necessary. To learn how to clip your cat’s claws, go to our grooming page. De-clawing a cat is not a decision to make likely. Please research de-clawing before you decide on doing it to your own cat. 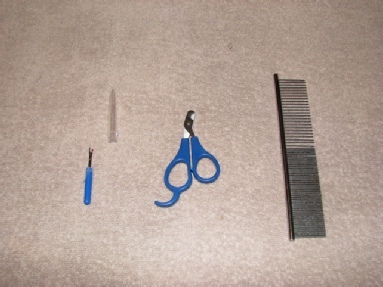 Seam ripper: (essential for long-haired cats), used for removing tight mats close to the body. CAUTION: Be very careful when using this tool around your cat. You can injure your cat if used improperly. Nail clippers: (essential), for clipping your cat’s nails. 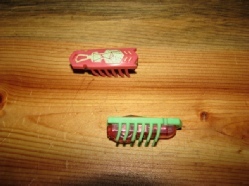 Metal comb: (essential), for daily grooming of your cat’s coat, either long- or short-haired cats. Brush: (essential; not shown), for therapeutic brushing both long- and short-haired cats. Obviously, cats need food and water. 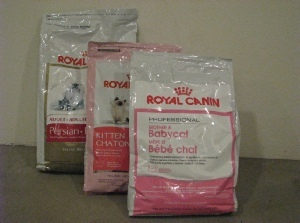 We give our cats Royal Canin Cat Food, which is loaded with natural ingredients necessary to support the health of a cat. Their kibble is small enough for a weaning kitten to eat and has enough nutrition for a pregnant or nursing mother. We recommend reviewing the ingredients of any cat food you choose to ensure that your cat is getting enough nutritional protein in his kibble and wet food. Cheap cat food will have more grains and vegetable ingredients, which will not support your cat’s optimum health. 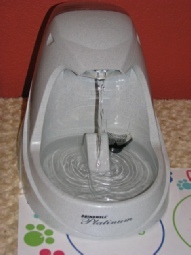 Fresh water complements a cat’s dietary requirements. Cats love free-flowing water, which the drinking well on the right continuously provides. It mimics a sink faucet by circulating water through a tank and pump. Although it comes with a filter, we recommend changing the water in the reservoir often to clean out the film that comes from the cat’s saliva. 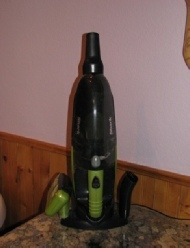 At the same time, you can clean the reservoir and pool area. Finally, an essential for cat care is a blow dryer to dry your cat after a bath. It’s not always the best idea to let a cat dry naturally after being immersed in water. A wet cat going into its kitty litter can undo all the work you did in bathing it. Kitty litter sticks to wet surfaces and can be a nightmare to get out. Blow drying your cat after a bath–at the low setting–will take care of that problem. 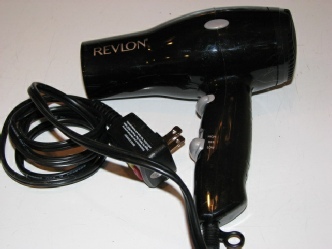 The blow dryer we use is a simple two-speed device that we picked up for $10 at Wal-mart. It gets the job done. Beware: Watch out that your cat doesn’t chew on the cord while you’re blow drying her. A cat needs to get rid of his waste just like every other animal and the most common way is with an indoor litter box. 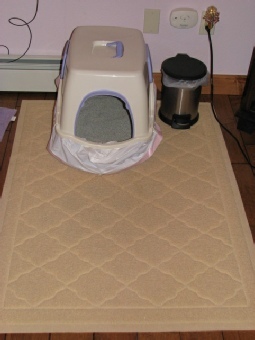 To the left is a typical setup for an indoor cat: litter box and litter mat. It is a tried-and-true method of toilet for your cat, but they are ways to make life even simpler for you. 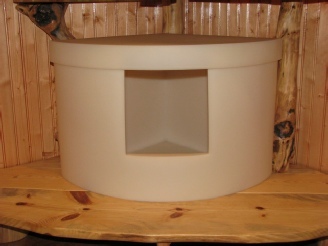 If you use a traditional litter box, get a covered one to provide privacy for your cat, as well as to contain the smells. 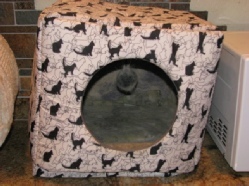 The cover also helps to prevent litter from spilling over the sides when your cat tries to cover his business. We suggest using a clumping scoop-able cat litter to make your life easier. This works remarkably well in turning urine into a a ball you can scoop up and toss into the garbage. A good scoop-able cat litter will also cover up the smell. 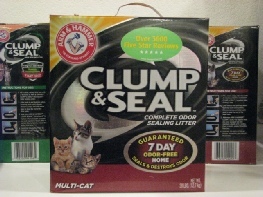 Arm & Hammer Clump & Seal cat litter: Recommended. Don’t forget the cat litter liner, which makes cleanup easy. Another essential product to have is a litter mat. A litter mat will reduce tracking of cat litter from the bottom of your cat’s feet as he comes out of the box. There are many products on the market, but we suggest to get one with a mesh design. 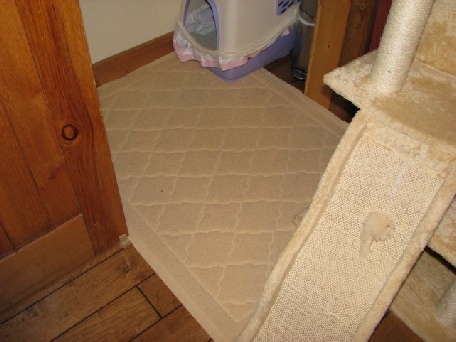 Fabric mats d on’t work as well to trap the litter and keep it where it should be. 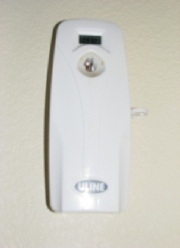 Two other items you can have to complete your cat’s toilet is an automatic air freshener that spritzes the air over your litter box every 15 to 30 minutes, and a cordless vacuum to clean up loose litter. Another version from the traditional kitty litter box is the Kitangle, an innovative design that offers roomy space for your cat to do its business. Made from a single molded piece of durable plastic, the litter goes right into the box. Cleanup is simple, with the box easily washed with detergent and water. Two designs make this version of a litter box more attractive and compact for small spaces. We’ve found other uses for these boxes. With a cushion inside, they make wonderful hidey-holes for your cat. And due to their easy cleanup, we plan to use them as delivery nests for new litters. These are perfect for a mother to find privacy to birth her new kittens, while have a top to remove to assist if necessary. Kitangles can be found at www.kitangle.com as well as at Amazon. If cats love anything, it’s a place to call their own. 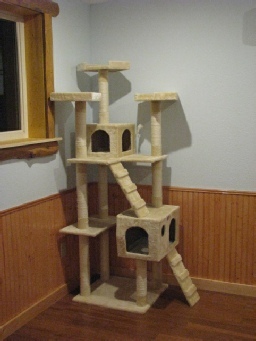 Cat condos and trees are fantastic pieces of furniture to satisfy your cat’s desire to climb, scratch, and hide away. 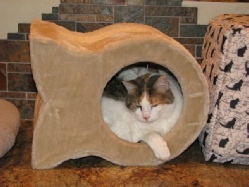 These condos come in various sizes and designs but we recommend ones with a cubby for your cat to seclude itself in. You can find these relatively inexpensive if you opt for a faux fur instead of carpet style. Find one with sisal rope-wrapped posts to give your cat several places to claw. 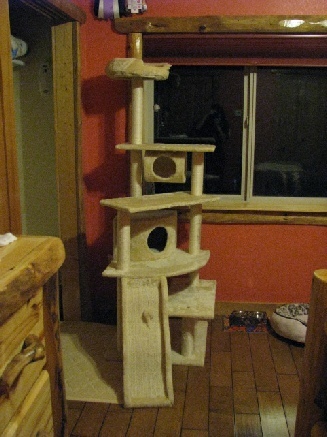 Cat condos will give your cat a lifetime of joy and security. You should respect the condo as your cat’s sanctuary. You can even put his food on one of the levels to keep it out of reach of dogs. A smaller, more simplistic version of a cat condo is a small cubby for your cat to seek refuge and comfort in. These are cheaper than a cat condo and space-savers for smaller areas. They can also be placed on counters for more security from dogs. Toys are important to keep your cat healthy and well-adjusted. Not all toys will interest your cat, but you can find something to strike its fancy. 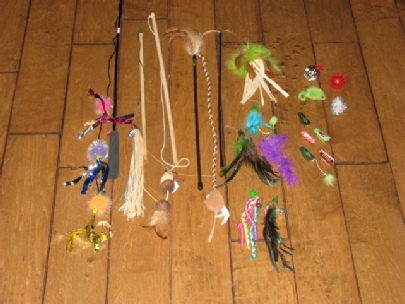 Toys come in a variety of style: teasers on sticks and stand-alone ones for your cat to bat around. Don’t forget the catnip, either. 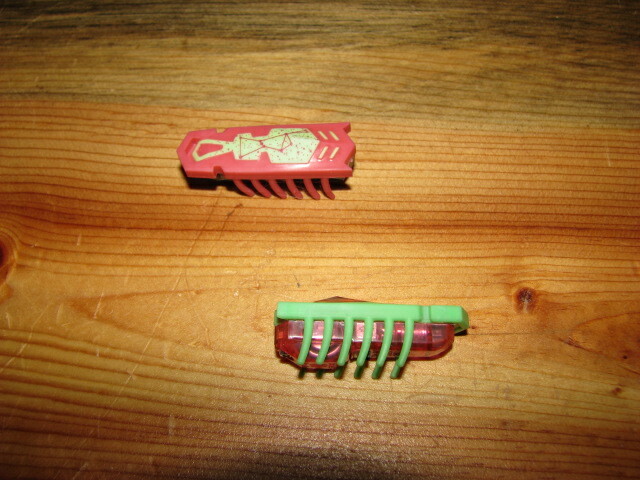 Above, to the right, are hex bugs, which are motorized to run around on the floor by battery. I haven’t found a cat who doesn’t love them. It is inevitable that you will have to take your cat outside for whatever reason. Whether it is to see a veterinarian or to accompany you on a trip, you’ll need a travel carrier suitable for your cat to be transported in. We recommend having two carriers of different sizes for your cat. The first one, a smaller carrier, should be big enough for you cat to be comfortable in but also small enough to comply with airline demands. 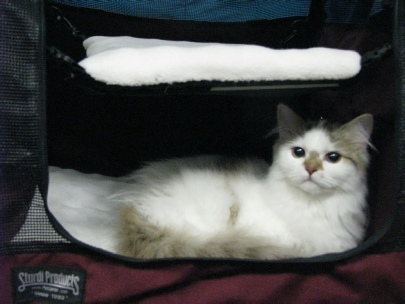 This carrier would be for airline travel or short trips to the vet. The second carrier should be larger enough to have space for a food and water dish, and maybe even a small travel litter box. This carrier would be perfect for longer car trips, where your cat can have sufficient room for stretching out and eating and using the toilet while in transport. You might also want to get a harness and leash to take your cat outside. This is a wonderful way to allow your cat to enjoy the outdoors. These work well, but make sure that your cat is not able to slip out of the harness. Also, train your cat to accept the harness and leash in the comfort of your own home, so if he does slip out of the harness, he will not be lost. If your cat’s eyes tear excessively, you’ll want to take care of that to prevent staining and an accumulation of debris near the eyes. 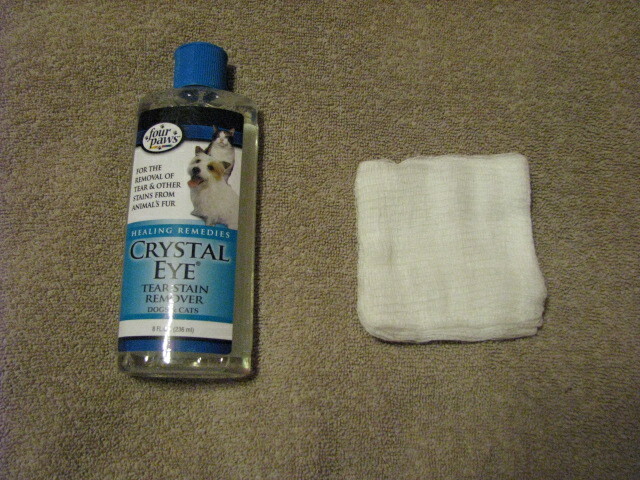 I use Crystal Eyes, a cleansing solution (right), to resolve that. 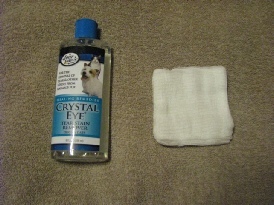 Gauze pads are used to wipe the tear-stained areas under the eyes without causing irritation. 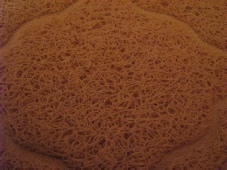 Econolux 8-ply gauze pads: Recommended (found on Amazon). Bathing your cat should be something you do regularly. Even though a cat cleans himself, a bath can get to places that your cat will either neglect or can’t reach. Also, dirt builds up in your cat’s fur over time to make his coat oily. Bathing with a good shampoo will eliminate that. To help control flyaway hair (a cat with a bad hair day), you can turn to a conditioner for help. Showing cats demands an essential conditioner, and while not everyone shows cats or cares that their cat always has a good hair day, we would like to share this product with you.